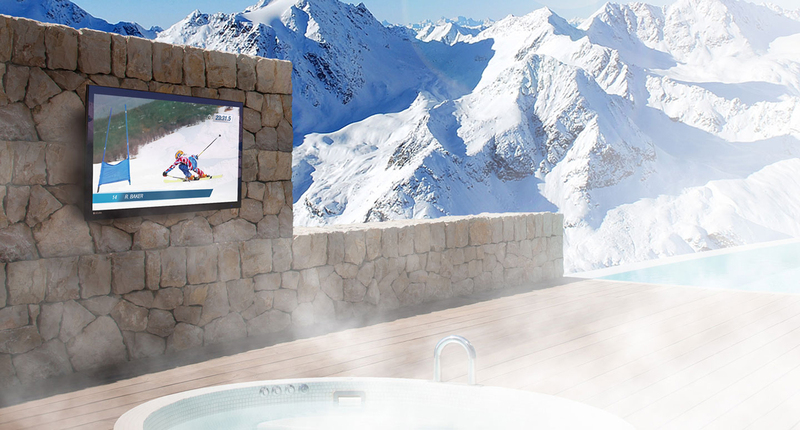 Here in New England, outdoor TVs tend to be a cost-is-no-object amenity, shares Maverick Integration’s Executive Coordinator Mark LaFave, due to the fact that homeowners pay a premium for these amazing, element-defying products, and they can only be used a few short, sweet months of the year. 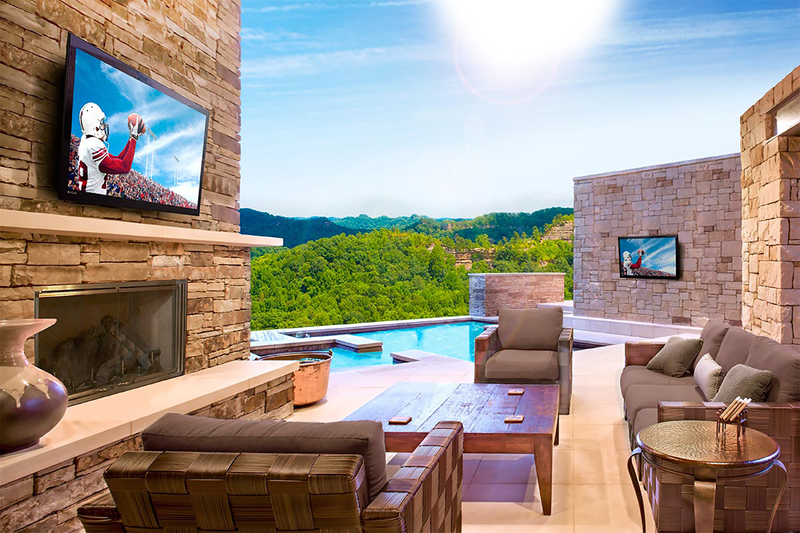 Still, more and more people are turning their landscapes into alfresco living rooms, and, naturally, they’re curious to see if an outdoor TV is on the program. 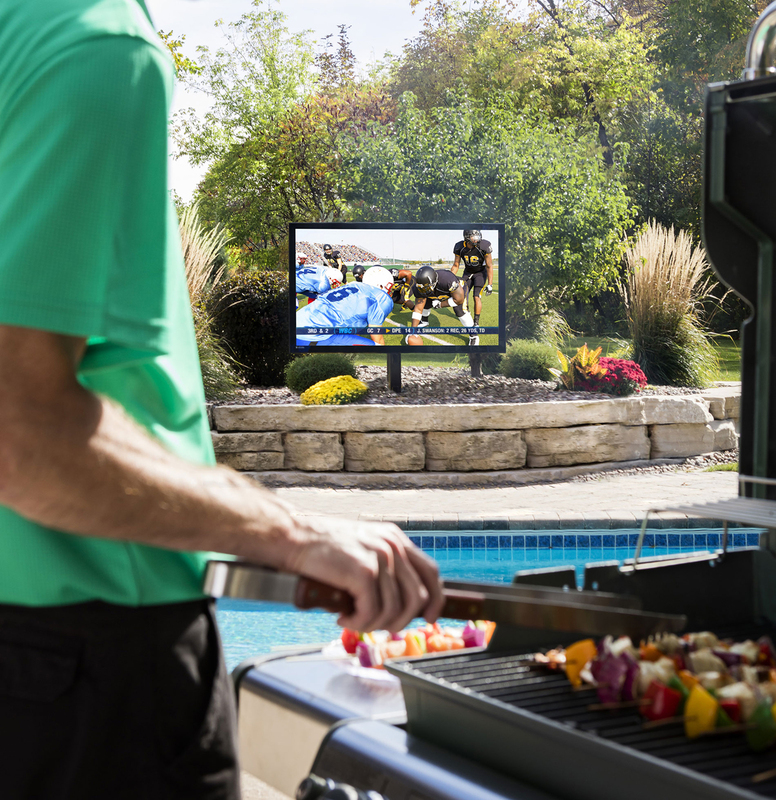 There are plenty of reasons to have one, Bray continues, like enjoying dinner and a movie under the stars (see the video below), not missing the game when you’re grilling, or, I might add, binge-watching The Crown from your spa (!). 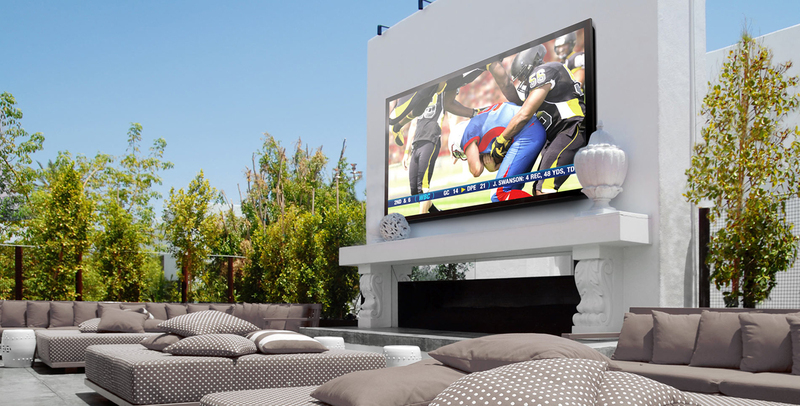 Homeowners just have to find the optimal location for their screen. 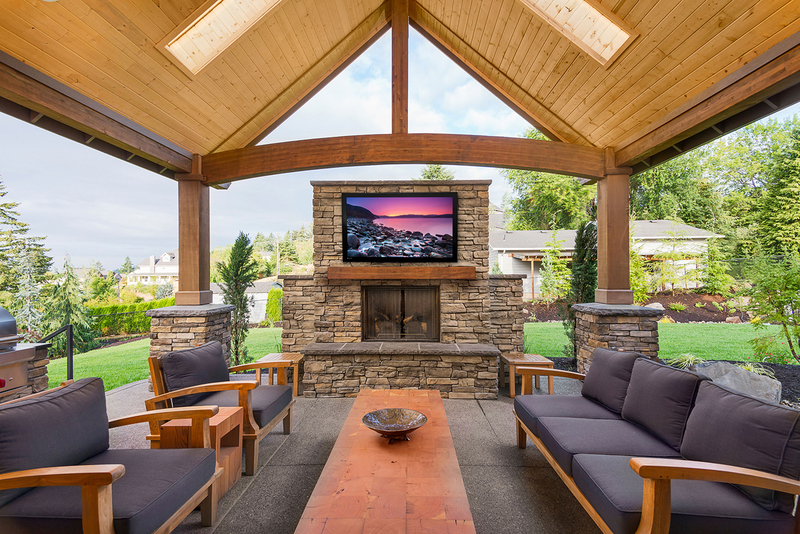 It doesn’t matter if your TV is under an awning or canopy, by the pool or in direct sunlight, so long as you choose the right model. Maverick Integration, and other home integration firms, can help—these are not items you pick up at a Big Box store. “There are a great many engineering considerations that go into these products,” says LaFave, and Maverick Integration can facilitate everything from the sale to the setup. 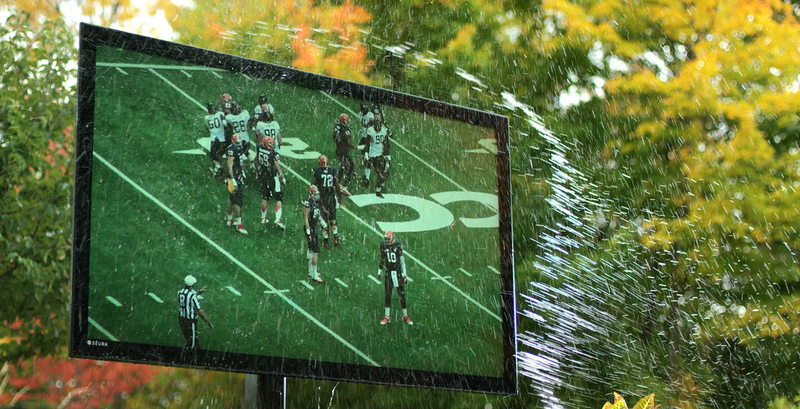 For waterproof TVs, Séura is the award-winning firm’s preferred brand, and it’s not hard to see why. The manufacturer’s sleek, slim screens are smarter than ever. 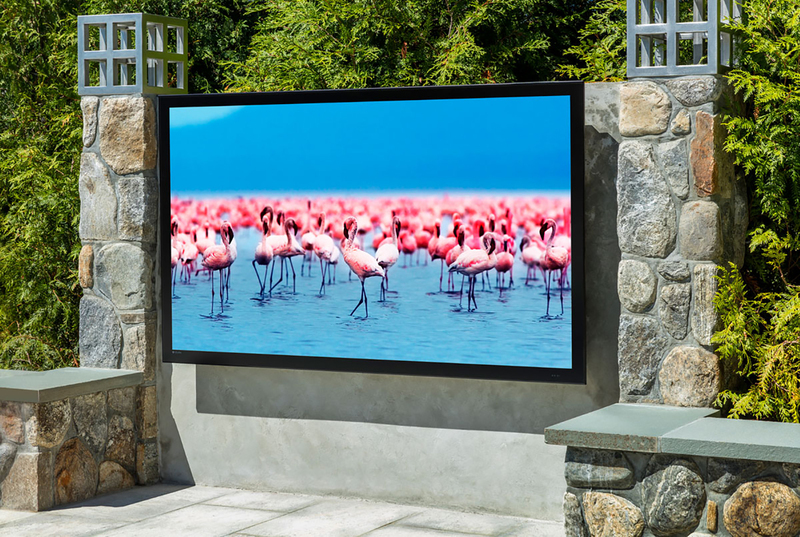 In fact, they’re debuting the next generation Séura Storm Ultra Bright Displays now (the 86-inch and 65-inch start shipping in May). 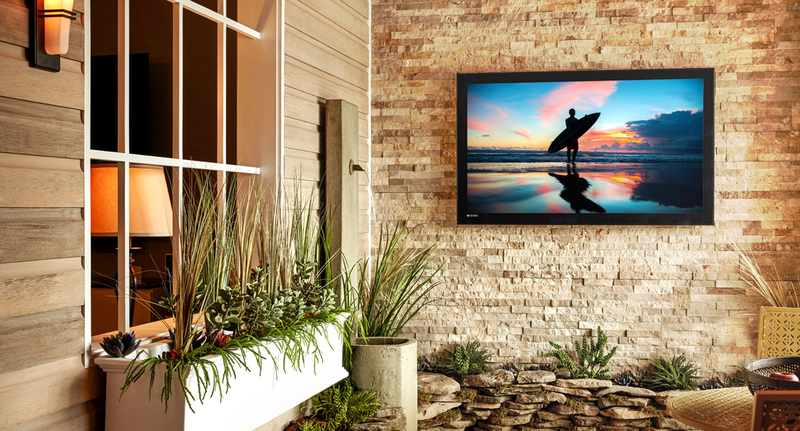 These TVs are “brighter, sleeker and more adaptive than any display that has even been placed in a backyard,” says Séura’s marketing team, meaning that the brightness adjusts and responds to the changing light of the outdoors. And then there is the C Seed, a jaw-dropping, über cool TV created by Porsche Design Studio that comes in an array of sizes, including the world’s largest at 201 inches. One like this, which is hidden in its own underground storage unit and arrives at the touch of a button, can be yours through Maverick for a mere $775,000.00. Take a look….